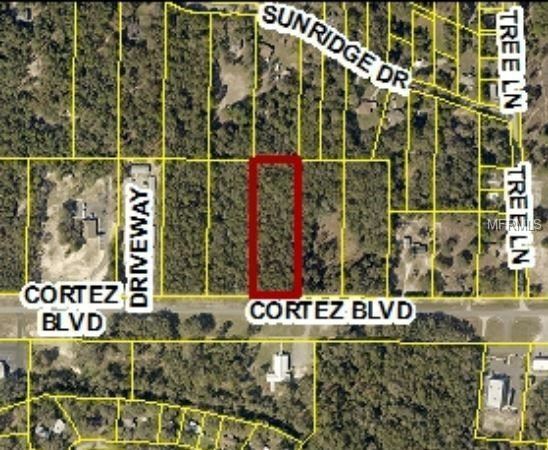 2.8 Acres located on Hwy 50 (Cortez Blvd) between US 301 and I75. Would need to be rezoned for commercial use. From Brooksville or I 75, go East on Cortez Blvd (Hwy 50) to sign on North side of road. Approximately a half mile West of US 301. The approximate monthly Principal & Interest payment for this property would be $323. This payment is based on a 30-year loan at a fixed rate of 4.12 % with a down payment of $6,000. Actual lender interest rates and loan programs may vary.